Very little information on this guy's early career is readily available. I know that he played some professional football with both the NFL and the CFL in the '80s, ending with the New England Patriots in 1987. He then became fluent in many ways of the martial arts, becoming the ISKA Kick-Boxing Champion, as well as, as Miller will tell you over and over, winning the World Tournament Karate Championship 3 times. When Miller came to WCW, he began teaming with Glacier, then a fan favorite, against Mortis (now Kanyon) and Wrath. The four had many brawls, but "The Cat" never really caught the fans' eyes. He wrestled as a low carder for a long while, due to his more-karate-than-wrestling style. Then in '98, Miller began wrestling with a greater attitude. He began to tell the fans in length about being a 3-time karate champion, and how he was better than all of them. He threw challenges to the back, telling wrestlers to come out to get taken out. Miller then usually proved his word. 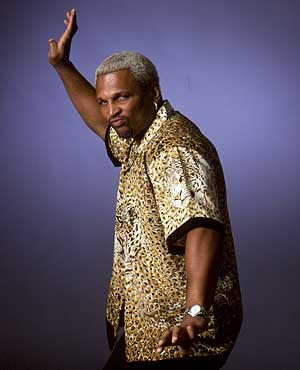 Miller then began a minor feud with Kaz Hayashi, after Sonny Onoo, previously Hayashi's manager, left him to manage "The Cat". The feud between them included Miller helping Onoo to win matches over Hayashi. Then, for a PPV, Perry Saturn agreed to be Hayashi's tag-team partner against Miller and Onoo. Miller and Onoo, thanks to a back-shot, came out on top. This started a greater feud with Saturn, which culminated in many losses for Saturn against inferior opponents, due to Miller's interference. The two faced off at Starrcade, with Saturn winning easily over Miller. "The Cat" then continued coming out and challenging the fans, the wrestlers, and anyone else to try and take out "The Greatest". He was involved in numerous brawls with the nWo "B" Team because of this, including being destroyed by one Scott "Flash" Norton multiple times. Miller also started coming out with the snow machine and music of Glacier, which Onoo purchased. Miller didn't like the music and lasers, however, and got his "James Brown" music back. In March '99, Miller and Onoo had a minor feud with fellow midcarder Jerry Flynn. Miller cut off Flynn's ponytail at one point, apparently taking away some of his honor. Flynn, however, responded for the Uncensored '99 PPV, defeating both Miller and Onoo in a handicap match. Miller then renewed his "feud" with Scott Norton, continuing to call out the bigger man, and continuing to get destroyed. However, during a June Nitro, Miller surprised most fans by using a crowbar to knock Norton out and get the pin victory. 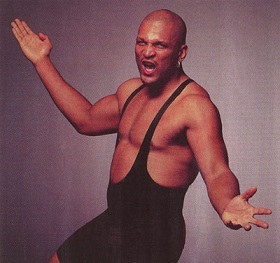 Miller was scheduled to face Norton at the Great American Bash, but Norton was having blood pressure problems and couldn't wrestle, so Miller ended up defeating Horace Hogan with a steel-toed shoe. Miller's angle with the "B" Team then slowly faded out, as he went on to "better" things. In July '99, Miller, still doing his "James Brown" impersonation, had a dancing contest with the Disco Inferno. It was obvious that the fans were more enthused with Disco, which angered Miller enough to attack him. The two met on different occasions, with different results, so a "Dance" Match was signed for Bash at the Beach. The stipulation was that whoever loses can't dance anymore. Thanks in part to Sonny Onoo, Miller managed the win, earning his privilege to dance. After the PPV, Miller claimed himself unbeatable, continuing his challenging of people in the back. This got him in a feud with "Buff" Bagwell. The two fought a couple of times, with Miller's "ruby" slipper usually coming into the picture. Bagwell's impersonation of Miller (even wearing a skull cap and black face paint) only furthered the feud. The two met at Road Wild '99, with Miller losing to Bagwell after Sonny Onoo accidentally hit the wrong man with the briefcase. Onoo soon left Miller's side, and WCW to boot. Miller became a long-term jobber for a period, rarely getting any major runs on WCW's main shows. He was entered into the November Mayhem World Title Tournament, only to lose in the first round to Lash LaRoux. Miller's career seemed to be going nowhere for many months, as he never appeared at pay-per-views, and usually got beat up by other wrestlers during house shows. The Cat's career appeared to be heading south, until Bischoff & Russo returned to run WCW. When they created the New Blood, a group of the younger, less experienced wrestlers, Ernest Miller quickly signed up. Earning the favor of Bischoff, the Cat entered himself in the vacant US Title Tournament, taking Bam-Bam Bigelow's place at Spring Stampede '00. He was scheduled to face Mike Awesome in the first round. During the beginning of the show, though, Miller was knocked out by Bigelow, who then moved back into place against Awesome. Miller came out later on and got involved, but Awesome won out with his Running Powerbomb. This did not stop Miller's newfound confidence. He began to follow Bischoff wherever he went, usually repeating whatever Bischoff had to say, almost like a parrot. He gave orders to other wrestlers in Bischoff's stead, and began to like the taste of power. Subsequently, when both Bischoff and Russo went on sabbatical in June '00, The Cat, now the Commissioner, took over as the head officer. Miller's every move became focused towards the ratings, to cause them to rise and impress the people in charge. He began to make super matches for the main events, usually before consulting with the people involved. During this time, Miller began getting stalked by the Jung Dragons, who were working on sneak-attacking the karate expert. Usually, the Jung Dragons' music gave them away, so that Miller could win, knocking them out. In July '00, the Cat outlawed WCW US Champion Scott Steiner's finisher, the Steiner Recliner, due to its ability to injure wrestlers (not to mention it was being used on the New Blood members). When Steiner faced Mike Awesome at Bash at the Beach '00, Miller was at ringside, and interfered during the fight. At the end, when Steiner put Awesome in the Recliner, Miller disqualified him, then stripped him of the United States title. Steiner didn't seem to care, however, and later turned on his friend Kevin Nash, keeping any feud from happening between Miller and himself. Miller then got into a minor feud with the Great Muta, which led to a fight between the two at New Blood Rising '00. Muta used his green mist at one point, blinding Miller, but Miller's ally, Tygress, came down with a chair and hit Muta with it, evening things up. Miller later landed his Feliner kick for the victory. Miller, slowly becoming a face in the eyes of the fans, next began feuding with the Natural Born Thrillers, and most notably, Mike Sanders. Sanders thought that he deserved to be the Commissioner. Miller, of course, thought differently. After a few months of feuding, Miller signed them to fight for the Commissionership in a Kickboxing match, something that the Cat specialized in. Sanders was reluctant, but finally agreed to the match. The two fought for three rounds, with Miller dominating most of them. Near the end of the last round, though, Miller was attacked by Shane Douglas and pulled out of the ring. Miller fought Douglas for a time, but took too long, eventually being counted out (this is the match where the time for rd 3 had expired before the countout, but Miller was still given the loss). Sanders won the match and became the Commissioner, shocking Miller and leaving him out of the loop. Angry at Douglas for costing him his position as Commissioner, Miller continued to go after "The Franchise" for the next month, until they finally took each other on at WCW Mayhem '00. While Miss Jones (Miller's new valet) & Torrie Wilson (Douglas' ally) fought on the outside, Miller used his arsenal of kicks to his advantage. Douglas, meanwhile, kept using his technical expertise. What really won the match, though, was when Miss Jones gave Miller his red dancing shoe, long known to be loaded. He kicked Douglas with the Feliner, then made the pin, winning the match and getting some revenge. Miller would next feud for a time with Lance Storm, the leader of Team Canada. Miller & Storm met up at Starrcade '00, with a lot of interference occuring on the outside, almost all of it in favor of Storm. Miller had to contend with both Major Gunns & Elix Skipper as well as Storm. Miss Jones helped out, brawling with Major Gunns, but she also accidentally ko'ed the referee with a kick. This allowed a half-hearted "Hacksaw" Jim Duggan to come down to the ring and knock out the Cat, enabling Storm to lock on his Canadian Mapleleaf for the win. Postmatch, Team Canada turned on Duggan, beating on him, until Miller surprisingly made the save. After the loss to Storm, Miller headed back towards what was rightfully his: the Commissioner's spot. He challenged Mike Sanders for it, beginning a war with the man and his forces, the Natural Born Thrillers. Sanders also put Kronik after the Cat, paying them for their services. This put the odds severely against Miller, especially after Sanders only agreed to put the Commissionership on the line if he got to have Miss Jones. During the match at WCW Sin, Sanders tried to ko the Cat with a chair, but was stopped by Miss Jones, who was looking out for her best interests. When Miller took the advantage near the end, the Thrillers came out to interfere, followed by Kronik. But Kronik apparently had been paid more by Miller, and took out the Thrillers, leaving Sanders wide open for the Feliner. With the pinfall, Miller once again became the Commissioner of WCW. Soon after, however, with Ric Flair's blessing, Lance Storm returned to Miller's line of sight, campaigning for his Commissioner position. Storm managed to defeat the Cat on a regular television show to win the spot, and began running things with abandon, fully to aid himself and his fellow Canadians. Miller managed to sign a rematch at Superbrawl: Revenge, and fought Storm once more for the Commissionership (which became almost like a title in WCW). While Miss Jones kept Mike Sanders from interfering, Miller got the Feliner and the win, regaining the Commissioner position. Miller then started a violent feud with Kanyon, who he faced during a regular Nitro. During the battle, Miss Jones slapped Kanyon, who promptly responded by Kanyon Cutting her and putting her in the hospital. Miller vowed revenge on Kanyon, going as far as to give up his Commissionership in order to get a shot at him. The two brawled for the next month, even having a mighty throwdown inside Miss Jones' hospital room (where Miller seemed to come out victorious). Later on, Kanyon also viciously attacked the Cat's limo driver, M.I. Smooth, flipping his limo over. At WCW Greed, the Cat and Kanyon finally got it on, in a very tenacious bout. Both men got close falls throughout the match, with Kanyon taking every opportunity to go after Miss Jones, forcing the Cat to protect her and be thrown off-balance. Near the end, the ref was knocked down, and Miss Jones entered the ring, trying to kick Kanyon. Instead, she missed, hitting the Cat instead. This left her alone against Kanyon. Kanyon waved her on, and she tried to attack, firing kick after kick, with Kanyon ducking most of them. What Kanyon didn't realize was that Miss Jones was stalling, giving the Cat time to recover. Miller spun Kanyon around and hit the Feliner, knocking him cold. The mostly conscious referee then made the count, giving the win to the Cat. After the match, Kanyon attacked the Cat from behind, hitting the Flatliner, again leaving Miss Jones alone. But M.I. Smooth came down to the ring to make the save. Miller & M.I. Smooth teamed up against Kanyon and his ally, Road Warrior Animal, for the next few weeks, but the feud went nowhere, after WCW was bought by the WWF. The Cat did not appear on the final episode of the Turner-run WCW in March, disappearing from view for a good period of time. In late '02, Miller began appearing occassionally in World Wrestling Entertainment, trying out in various roles for the company. In May '03, Miller began working at the announce table with Josh Mathews during WWE Velocity, doing his best to give the fans some great commentating. After several months in this position, Miller hung up his mic in September '03 to begin training for a return to the ring. Vignettes began to appear in November '03, announcing the return fo the Cat to professional wrestling. He made his first appearance on WWE Smackdown on the final November '03 episode, dancing with Torrie Wilson while his valet, Maurice, watched. A few weeks later, Miller tried to dance with Sable as well, who didn't seem interested, saying that she only danced for Vince McMahon. However, Miller forced a kiss on Sable, then stripped down to his underwear, dancing like wild in front of the crowd. A week later, Miller danced again in front of Sable, bringing out Mr. McMahon himself. After the two argued about who the greatest of all time was, Mr. McMahon started dancing as well, apparently going with Miller. But Mr. McMahon then turned and gave Miller a low blow, showing him who had the power. Miller appeared on Smackdown a couple of times going into '04, always dancing away with Maurice. At the '04 Royal Rumble, Miller came out as #18, when both Chris Benoit and Randy Orton were down in the ring. Miller and Maurice danced instead of attacking, which came as a major drawback to Miller's chances in the match, as both he and Maurice were tossed from the ring shortly thereafter. The same thing occurred on the next Smackdown, when a secondary "15-Man Rumble" Match was held to decide a new #1 Contender. That was about it for Miller, as he was released from his WWE contract only a short time later. - WCW Bash At The Beach '97 = Miller and Glacier lost to Mortis and Wrath, after Mortis pinned Glacier. - WCW World War III '97 = Miller and Glacier were defeated by Meng and the Barbarian. Later that night, Miller competed in the three-ring Battle Royale, which was won by Scott Hall. - WCW Fall Brawl '98 = Miller defeated Norman Smiley. - WCW World War III '98 = Miller and Sonny Onoo defeated Kaz Hayashi and Saturn. 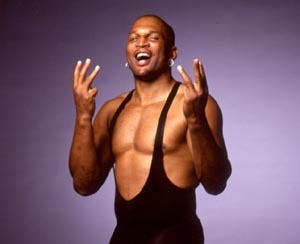 Later that night, Miller competed in the three-ring Battle Royale, which was won by Kevin Nash. - WCW Starrcade '98 = Miller lost to Perry Saturn, after a DVD. - WCW Uncensored '99 = Miller and Sonny Onoo were beaten by Jerry Flynn in a Handicap match, when Flynn pinned Onoo. - WCW Great American Bash '99 = Miller used a shoe, kicking Horace Hogan in the head and getting the pinfall victory. - WCW Bash at the Beach '99 = Miller, after Sonny Onoo's distraction, knocked the Disco Inferno out to get the win in the "Dance" Match. - WCW Road Wild '99 = Miller lost to Buff Bagwell after Onoo's accidental interference. - WCW Spring Stampede '00 = In a match that started out between Mike Awesome and Bam-Bam Bigelow, Miller entered and fought Awesome. He lost. - WCW New Blood Rising (August '00) = Miller defeated the Great Muta. - WCW Halloween Havoc '00 = Miller lost, via Countout, to Mike Sanders in a Kickboxing match. - WCW Millenium Final (November '00) = Miller competed in a Battle Royal, which was won by Mike Awesome. Later in the night, Miller defeated Mike Sanders. - WCW Mayhem '00 = Miller beat Shane Douglas. - WCW Starrcade '00 = Miller lost to Lance Storm. - WCW Sin (January '01) = Miller won the WCW Commissionership, beating Mike Sanders. - WCW Superbrawl: Revenge ('01) = Miller defeated Lance Storm to regain his Commissionership. - WCW Greed (March '01) = Miller won over Kanyon. - WWA "Revolution" (February 24, '02) = Miller & Rick Steiner defeated Lenny Lane & Lodi. - WWA "The Eruption" (April 13, '02) = Miller & Brian Christopher won over Buff Bagwell & Stevie Ray. - WWE Royal Rumble '04 (January 25) = Miller competed in the Royal Rumble, which was won by Chris Benoit.